Sally Hazelgrove has a simple, yet lofty, goal—putting Chicago’s violent gangs out of business by taking away their access to the city’s youth. Hazelgrove is one of 57 remarkable individuals and organizations honored today during the Director’s Community Leadership Awards (DCLA) ceremony at FBI Headquarters in Washington, D.C. Nominated in 2017 by the each of the FBI’s 56 field offices and the Criminal Justice Information Services Division, the recipients were formally recognized by Director Christopher Wray for extraordinary service to their communities. 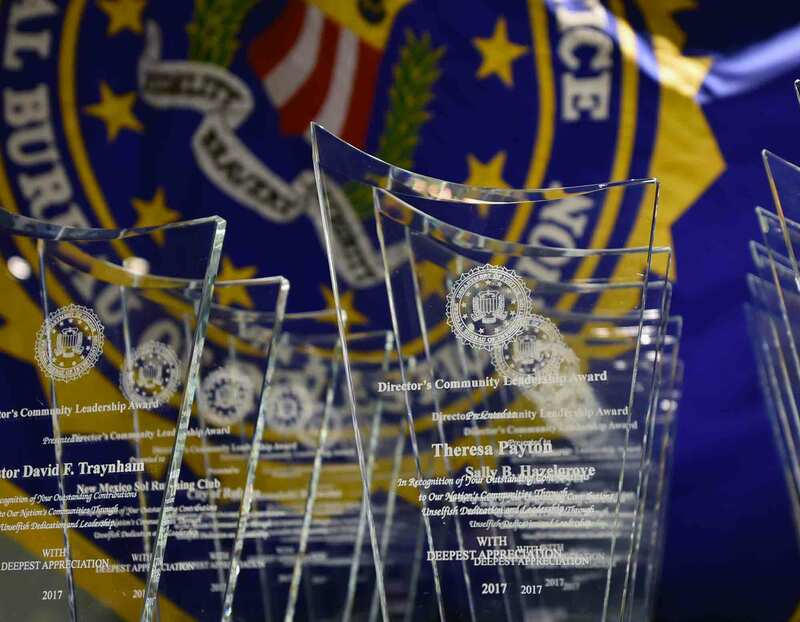 Since 1990, the annual awards have been the principal means for the FBI to publicly acknowledge the achievements of those working to make a difference in their communities through the promotion of education and the prevention of crime and violence. 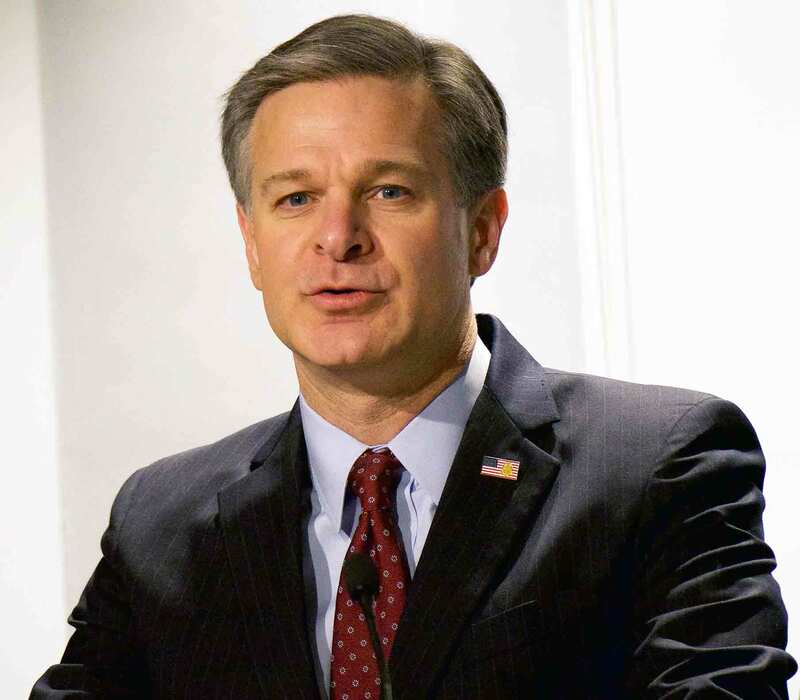 In his remarks to the group this morning, Director Christopher Wray thanked the honorees for their efforts to make the country safer and noted the similarities between community leaders and the FBI’s own workforce—both are dedicated to public service and “doing the right thing in the right way,” he said. “We need the support, the understanding, and the trust of our community partners and the public. You’re out in your neighborhoods and your communities every day building that support and that trust and that understanding,” Wray added. 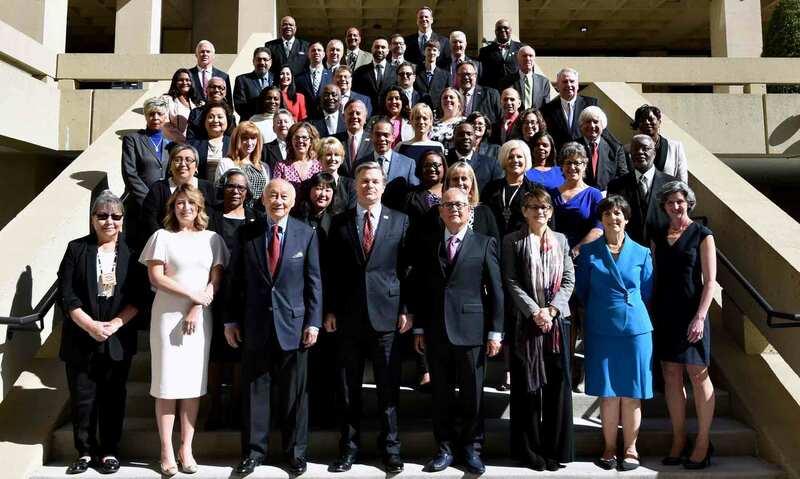 The DCLA recipients honored today have made a variety of meaningful contributions to their communities, such as improving relationships between law enforcement and those they serve, providing housing to human trafficking survivors, combating the opioid crisis, and encouraging young people to make positive choices. Hazelgrove, for example—through her organization, Crushers Club—works in the violent Chicago neighborhood of Englewood. After school each day and during the summer, at-risk boys visit her club, where they box, dance, create music, and take field trips instead of engaging with gangs. More than 350 young people have participated in Crushers Club, and the organization estimates that 90 percent of them have improved school attendance and academic performance. A key part of the club’s model is to encourage socialization between young men and law enforcement—including FBI agents—which helps build bridges and forge strong relationships between the two groups. Another DCLA recipient, the Mississippi Center for Excellence, helps vulnerable young adults who have aged out of foster care, have had contact with the criminal justice system, or who live in communities without access to quality housing, education, or employment. Led by Director Ingrid Cloy, the center also works to create positive relationships between youth and law enforcement and has developed a program that trains local police to use community-based resources as an alternative to arrest. These are just two examples of the countless efforts undertaken by every DCLA recipient—all of whom are striving to make the world a better place, one community at a time. Photos and information on each of the DCLA recipients can be found below.